Precipitation in southern China during boreal summer (June to August) shows a substantial interdecadal variability on the timescale longer than 8 years. 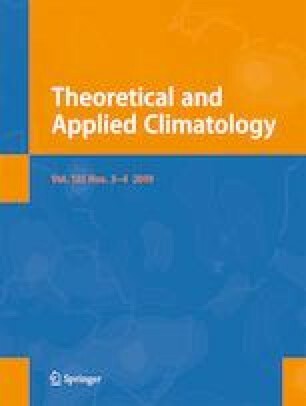 In this study, based on the analysis of singular value decomposition, we diagnose the leading mode of interdecadal covariability between the observational precipitation in southern China and the sea surface temperature (SST) in the Indian Ocean. Results indicate that there exist a remarkable southern China zonal dipole (SCZD) pattern of interdecadal variability of summer precipitation and an interdecadal Indian Ocean basin mode (ID-IOBM) of SST. It is found that the SCZD is evidently covaried with the ID-IOBM, which may induce anomalous inter-hemispheric vertical circulation and atmospheric Kelvin waves. During the warm phase of the ID-IOBM, an enhanced lower-level convergence and upper-level divergence exist over the tropical Indian Ocean, which is a typical Gill-Matsuno-type response to the SST warming. Meanwhile, the accompanied upper-level outflow anomalies further converge over the Indo-China peninsula, resulting in a lower-level anticyclone that contributes to reduction of the eastward moisture transport from the Bay of Bengal to the west part of southern China. In addition, the Kelvin wave-like pattern, as a response of the warm ID-IOBM phase, further induces the lower-level anticyclonic anomaly over the South China Sea–Philippines. Such an anticyclonic circulation is favorable for more water vapor transport from the East China Sea into the east part of southern China. Therefore, the joint effects of the anomalous inter-hemispheric vertical circulation and the Kelvin wave-like pattern associated with the ID-IOBM may eventually play a key role in generating the SCZD pattern. The authors are grateful to the anonymous reviewers for their insightful comments, which helped improve the quality of this paper. We also acknowledge the supports from the National Key Research Program and Development of China (No. 2017YFC1502302) and the National (Key) Basic Research and Development (973) Program of China (Nos. 2013CB430203 and 2010CB950404).